For shopping fun, head to Fremantle Markets or Illusionary Art. Visiting Cottesloe Beach and Perth Zoo will get you outdoors. 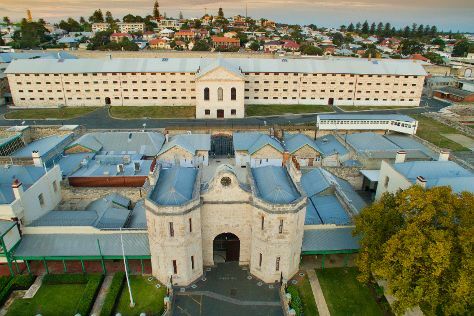 Explore the numerous day-trip ideas around Perth: Fremantle (Fremantle Prison, Glen Cowans' Studio at the Roundhouse, & more), Caversham Wildlife Park (in Whiteman) and Dolphin & Whale Watching (in Mandurah). Dedicate the 21st (Sun) to wine at some of the top wineries in the area. There's much more to do: contemplate the waterfront views at Swan River, kick back and relax at Scarborough Beach, stroll through Mullaloo Beach, and step off the mainland to explore Penguin Island. Ask Inspirock to suggest an itinerary and make planning a trip to Perth fast, fun, and easy. If you are flying in from South Africa, the closest major airport is Perth International Airport. In April in Perth, expect temperatures between 31°C during the day and 15°C at night. Wrap up your sightseeing on the 27th (Sat) early enough to travel back home.